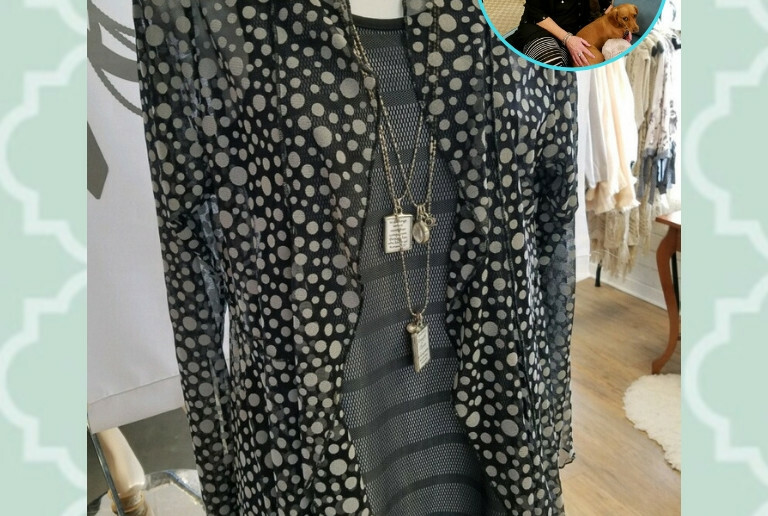 She says… who doesn’t love polka dots! Great lightweight piece with ruffles that are too frilly. Perfect length that goes over everything in your closet. It’s seasonless… Meaning it can be worn all year long.